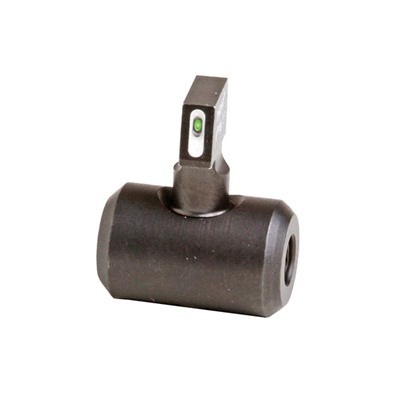 Machined, steel, front post features a tritium vial for low-light target acquisition and an eye-catching white outline for use during daylight hours. Replaces factory windage drum and front sight post. Each full turn of front post moves point of impact approximately 4" at 100 yards. Includes installation instructions, tools, and locking adhesive. Sight blade is .100". Mfg: Xs Sight Systems SPECS: Steel, matte black finish. Fits AK-47 rifles.